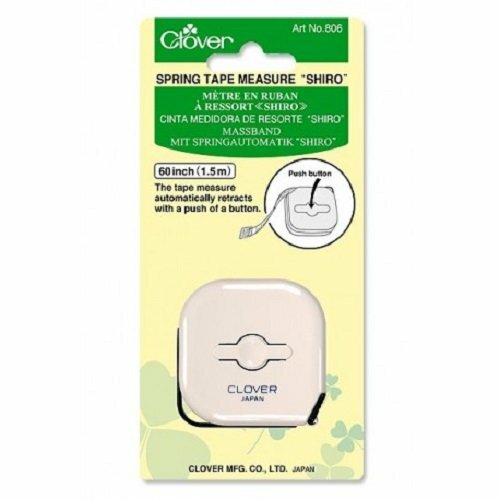 # 806 Spring tape measure “Shiro” is a tape measure that automatically retracts with a push of a button. It is made of fiberglass that prevents it from stretching. Measurements are in both metric and inches.